Kedarnath had come into international focus when a flash flood had wreaked havoc on the temple town. 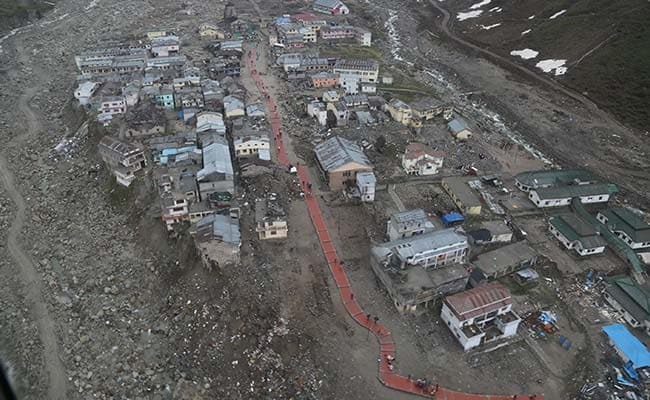 New Delhi: The National Green Tribunal on Tuesday issued a notice to the centre and the Uttarakhand government seeking their response as to why proper regulations and policy have not been framed regarding helicopter service to the Kedarnath shrine. In December 2015, the NGT had asked the centre and state to frame a policy on helicopter charter services which operate from Ghata village, near Gauri Kund, the base of the 16 km long trek to the shrine located high up in the Himalayas. Many tourists take the 8-10 minute helicopter ride to the top of the summit instead of the 16 km trek. The Kedarnath shrine is located in the Kedarnath National park, an eco-sensitive zone with rich flora and fauna including the Musk Deer, snow leopard and Himalayan Tahr. Conservationists had in 2015 questioned the air charter services which according to them were disturbing the wildlife and also leading to large number of tourists arriving at the summit, beyond the carrying capacity of Kedarnath. While the NGT did not suspend the helicopter service, it had asked the state and central government to frame policies and regulations under the aviation policy to ensure that least damage and disturbance is caused to the eco sensitive zone. Conservationist Kavita Ashok, had recently informed the NGT that no policy had been made despite the 2015 orders by the tribunal and the peak tourist and pilgrim season was about to start along with helicopter services. The NGT has thus sought responses from the state and central government over this delay. Kedarnath had come into international focus when a flash flood had wreaked havoc on the temple town killing 5,700 people, mostly pilgrims who had gone to visit the shrine.